Are you looking for expert Conroe AC repair, installation and replacement services? Call 281-704-3696 today for fast, reliable service and affordable prices. Take advantage of our online sales and coupons when you click here. Keeping your home cool in the heat is a top priority for most Texas homeowners. As the temperature rises, the heat can be trapped inside your house. 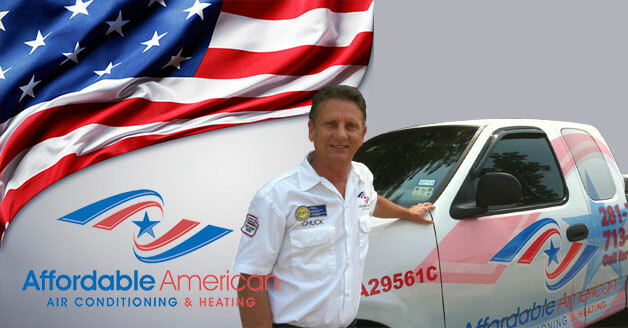 Finding a quality service provider in Conroe, TX is a key component to living in comfort in the sweltering heat. Discover what others have been saying about our services when you click here. If your air conditioner’s filter becomes clogged and dirty over time, you may experience some unpleasant side effects around the house. Your air quality will be reduced due to dust and dirt circulating in the house, and your energy bills can also take a jump. When the filter is dirty, your system has to work harder, which will ultimately boost your bills. Changing the filter every few months will enable it to function as intended, and you shouldn’t notice any negative effects. When it comes time to have a new air conditioning system installed in your home, some homeowners are tempted by the DIY approach. You will be able to save money initially by doing it yourself, but in all likelihood you’ll need more frequent repairs and your system won’t last nearly as long. You may also be in violation of local building codes and create an unsafe situation in your home if you install it incorrectly. Many homeowners are intrigued by the thought of having a ductless mini split AC system installed. As the name suggests, a ductless system uses no standard air ducts and typically has benefits a regular system doesn’t have. Air handlers are placed inside the house and copper tubing connects them to a condenser outside. With ductless AC, you can choose which rooms are cooled and which aren’t, giving you more control. You also don’t have to worry about airborne particles and dust being blown throughout the house while the system is being used, which will improve air quality. If your cooling system isn’t working up to par and you’re feeling the effects, call Affordable American Air Conditioning & Heating at 281-704-3696 in Conroe, TX and we will set up an appointment to get it working again.